Welcome to day 16 of my Countdown To Christmas Cookie Recipes. 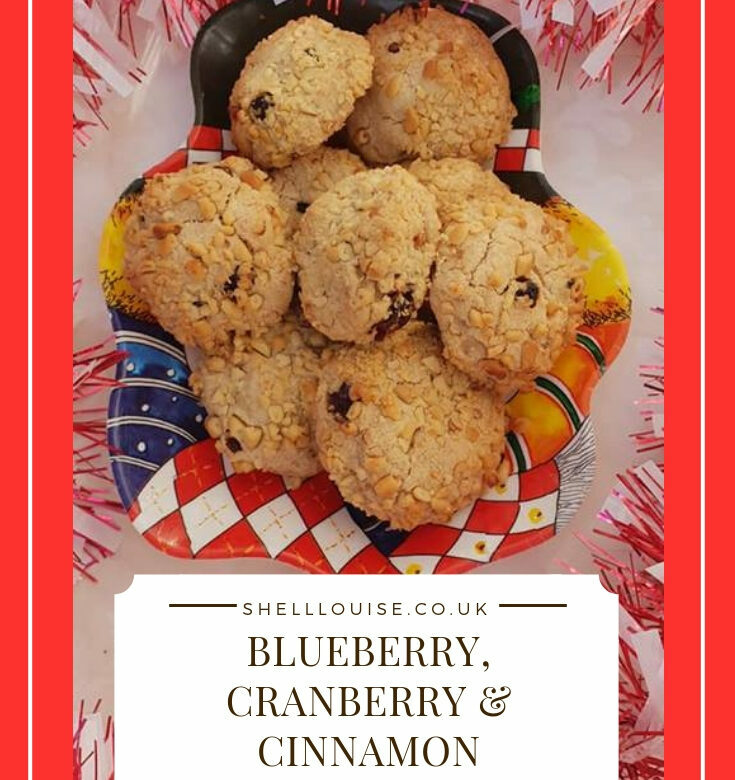 Today’s recipe is for Blueberry Cranberry & Cinnamon. Tomorrow’s recipe is for Apple Angels & Pear Stars. Put the butter and sugar into a bowl and mix well with a wooden spoon, then beat in the egg yolk and vanilla extract. Sift together the flour, cinnamon and salt into the mixture, add the blueberries and cranberries and stir until thoroughly combined. Spread out the pine kernels in a shallow dish. Scoop up the tablespoons of the mixture and roll them into balls. Roll the balls in the pine kernels to coat, then place on the prepared baking sheets, spaced well apart and flatten slightly. Bake in the preheated oven for 10-15 minutes. leave to cool on the baking sheets for 5-10 minutes, then using a palette knife, carefully transfer the cookies to wire racks to cool completely.